In his first start for AC Milan, Ronaldo scored twice and assisted once. He finished his first season scoring 7 goals in 14 appearances. 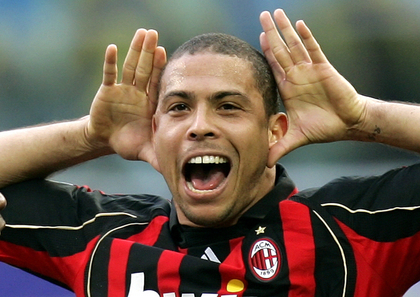 after his move to Milan, Luis Nazario Ronaldo became one of the two players having scored for both side in the Milanese derby game. His contract with AC Milan expired at the end of 2007/2008 season an was not renewed.